In The Waste Land, T.S. Eliot writes that "April is the cruellest month." I am going to have to disagree with that--April is my favorite month! Not only is April my birth month (today, actually! ), but April is the month of Shanghai's gorgeous flowering trees, spring break, Shakespeare's birthday/ World Book Day, and my favorite...Earth Day on April 22! 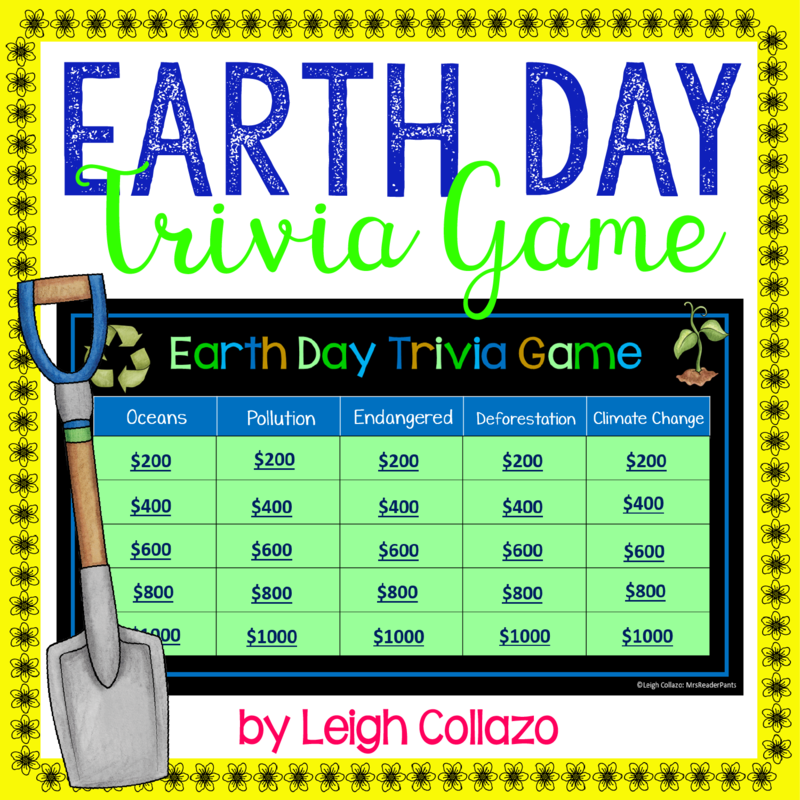 This week's new activity is for librarians and teachers looking for a fun, informational game to help students celebrate Earth Day. I debated on adding it to my blog since it's more a science resource than one for library or English. But I decided to include it anyway because it's great for librarians and English teachers who are just looking for something fun to do for Earth Day. 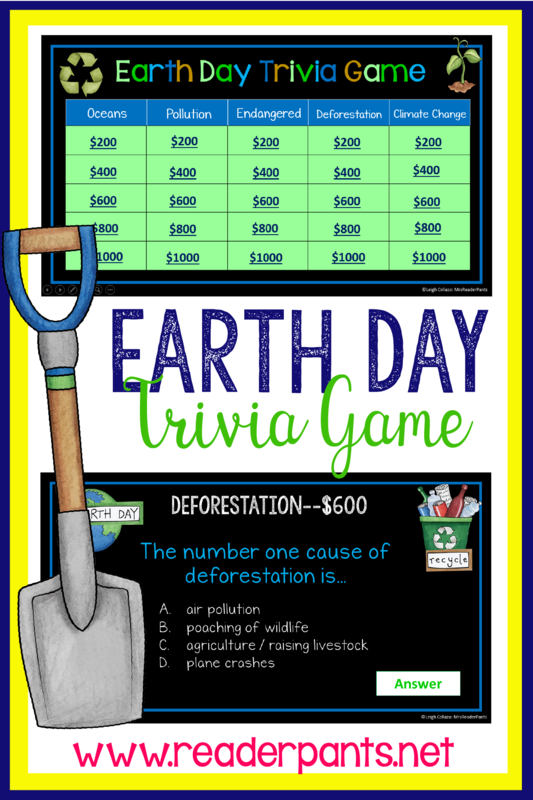 I know I've done Earth Day games and activities in the library for years, so I'm sure there are some librarians out there who will find it useful. 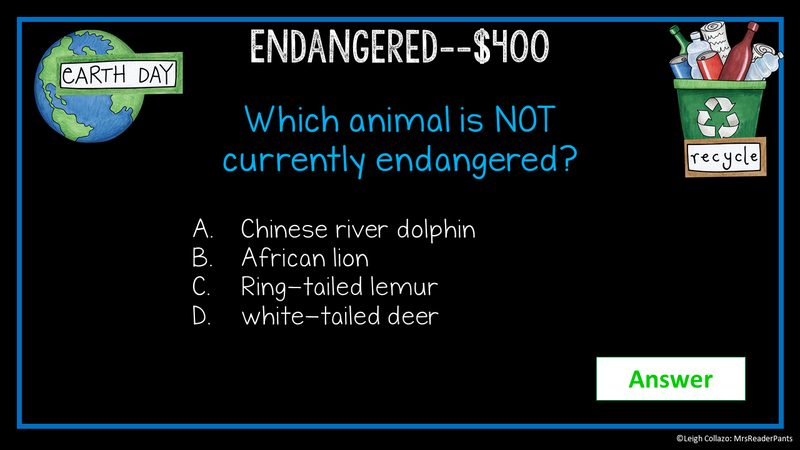 I've targeted the questions, which are almost all multiple-choice, to students in Grades 6-9. 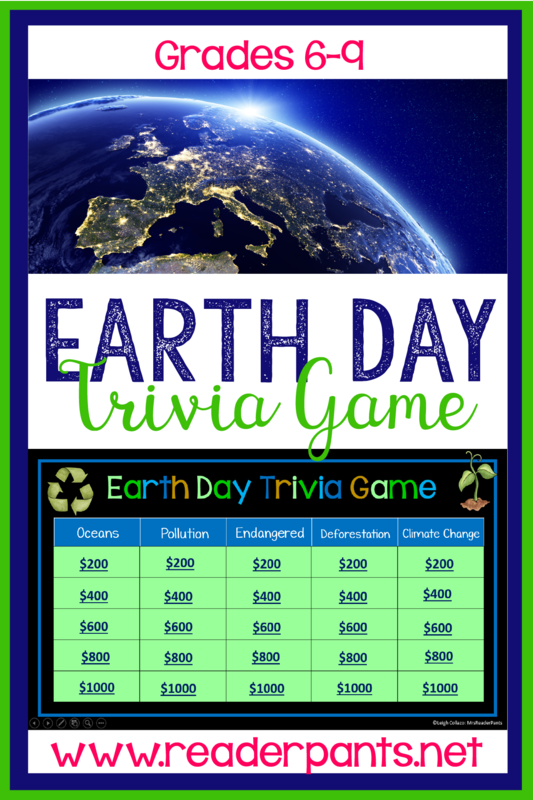 The game contains 25 questions in five Earth Day categories including: pollution, endangered, deforestation, and climate change. All of the answer slides feature a full-color photo to go with the answer. 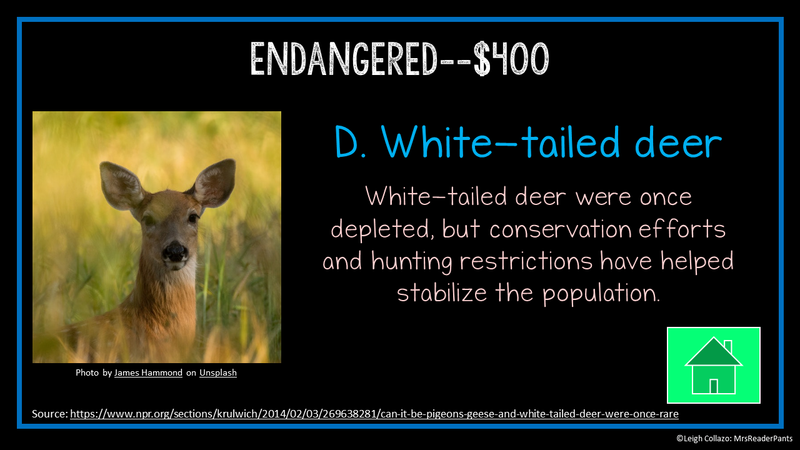 Answer slides also contain one additional fact about that concept. For next week's new product, I think I am going to continue the Earth Day theme. Maybe a storytime idea for elementary? A research activity for middle school? Not sure yet...stay tuned! Happy birthday to you, too! My birthday was nice and low-key, just the way I like it!